Yall are a great team! Very well ran and they are very much concerned with their clients along the entire way and will go out of their way for their clients for even the smallest concern. He does everything he can for as long as it takes to win your case. We won our case and it was the best experience I have ever had in a courtroom. Even the opposite lawyer stated to the judge what a beautiful job Lucius did. Doesn't get any better than that! Lucius is the best. If you have a work comp case or think you do, you need Lucius. Him and his law staff are honestly amazing! Mr. Hawes is a well-respected and extremely effective personal injury attorney. You can rely on his experience from trying to settle with the insurance company to taking the case to trial. 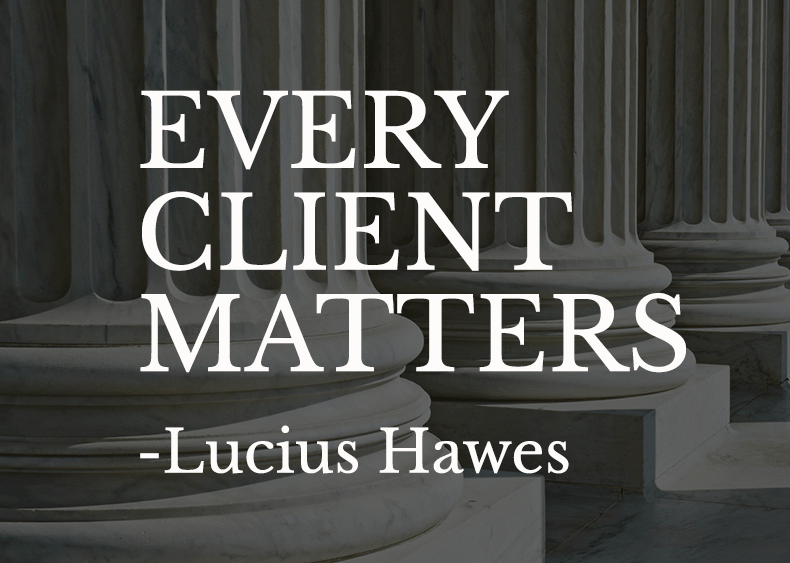 I would not hesitate to refer a client with a personal injury matter to Mr. Hawes.